Safe and effective principles must be applied when measuring flow rates within gas processing centres because of the economic and safety challenges posed by gas pipelines. 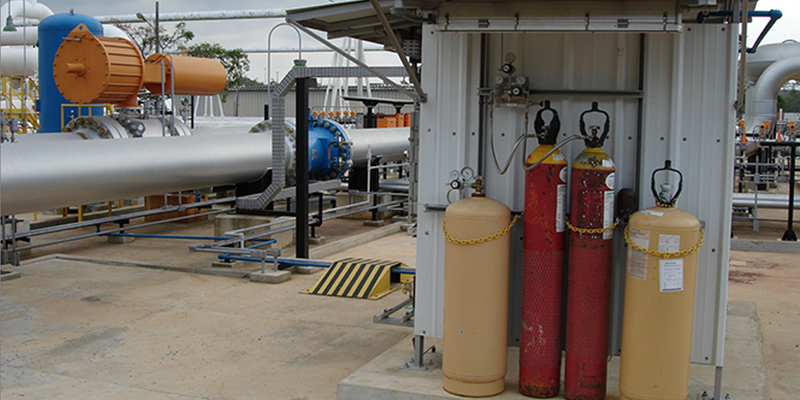 The application case described is situated in a gas processing unit in Rio de Janeiro. 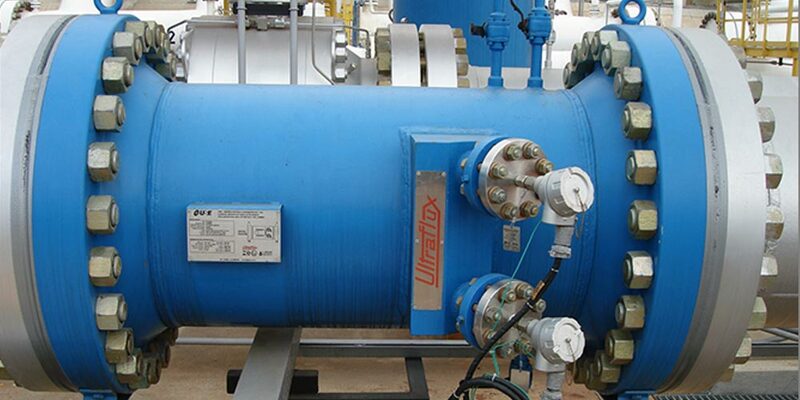 Raw gas is processed there in a separation and fractionation unit to produce natural commercial gas, propane, butane and various recoverable liquids. 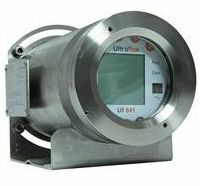 The processing unit, and all of the product outlets, are equipped with operational control flow meters. 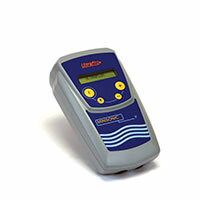 With two measurement chords and ATEX certification, either the Minisonic G or the Uf 841 would be fine. The SXG 1558 probes (above) are ATEX certified and can be removed under load. Custom-made for the client. The pipe-spool passed the necessary hydrostatic tests (156 Kgf/cm2) for penetrating and radiographic fluids. The whole system received a “Dry Calibration” certificate, issued by us, in compliance with procedure AGA9.